UNC’s Camp Kelly recently hired Tyler Whitcomb (above, far left) to be its new Boys Basketball Director. 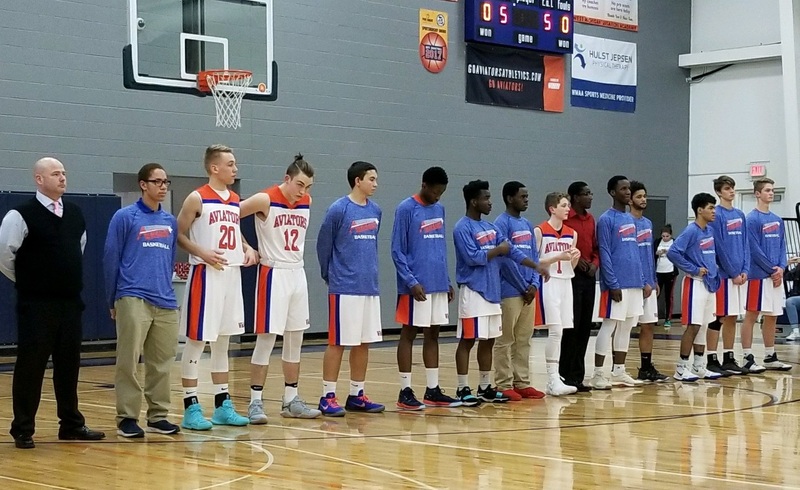 Tyler started off his coaching career as a student assistant college basketball coach at Kalamazoo Valley Community College which lead to an assistant coach position on some college teams under a Hall of Fame coach. During that time, he ran basketball camps all over the nation. In one summer, he worked 12 different basketball camps including Five Star, Reebok’s Bobby Hurley camp, McCracken camp, Bradley University, KVCC, Shooting camps, Grand Valley State, Camp of Champions, and Calvin. Tyler continued to work camps and climb the ladder to one day being a head varsity basketball coach running his own camps. He was a professional basketball owner of the Grand Rapids Flight and later the Holland Blast of the International Basketball League. His was the highest scoring team in all of basketball with a 144 ppg. In 2006, he won the Executive of the Year when both teams made it to the IBL final four out of 29 teams and began his career as a scout with multiple pro leagues. In 2012 he returned as a high school varsity basketball coach and hasn’t stopped since. Over the course of his illustrious career as a coach, Tyler has also won numerous awards, including 40 Under 40 Top Business Leaders from the Grand Rapids Business Journal and Executive of the Year from the International Basketball League. To learn more about Mr. Whitcomb or our camp programs, feel free to contact Kelly Langan, Director of Camp Initiatives, at klangan@uncnepa.org or (570) 346-0759 x111. Camp kelly is located in Lemon Township, Wyoming County. United Neighborhood Centers of Northeastern Pennsylvania (UNC) is a non-profit organization dedicated to assessing and meeting the needs of low-income families, youth, and senior citizens in Northeast Pennsylvania. The agency’s mission is to work together with neighbors to provide services and create opportunities which empower individuals and build strong interdependent communities. The agency accomplishes this mission through six programmatic departments (Community Services, Child Care, Youth Programs, Older Adult Programs, Community Education & Revitalization, and Community Health) and a Housing/Community Development Corporation. Through this diverse programming, UNC uses an innovative wrap-around approach to address the emerging needs of the community it serves.